The BodyMetrix System combines a clinical hand-held ultrasound wand with innovative software to accurately and consistently assess and monitor your body composition. The testing is fast, non-invasive (no painful or embarassing pinching) and is highly accurate. 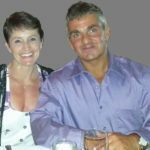 It is also not sensitive to hydration, exercise level or caffeine intake allowing consistent results. 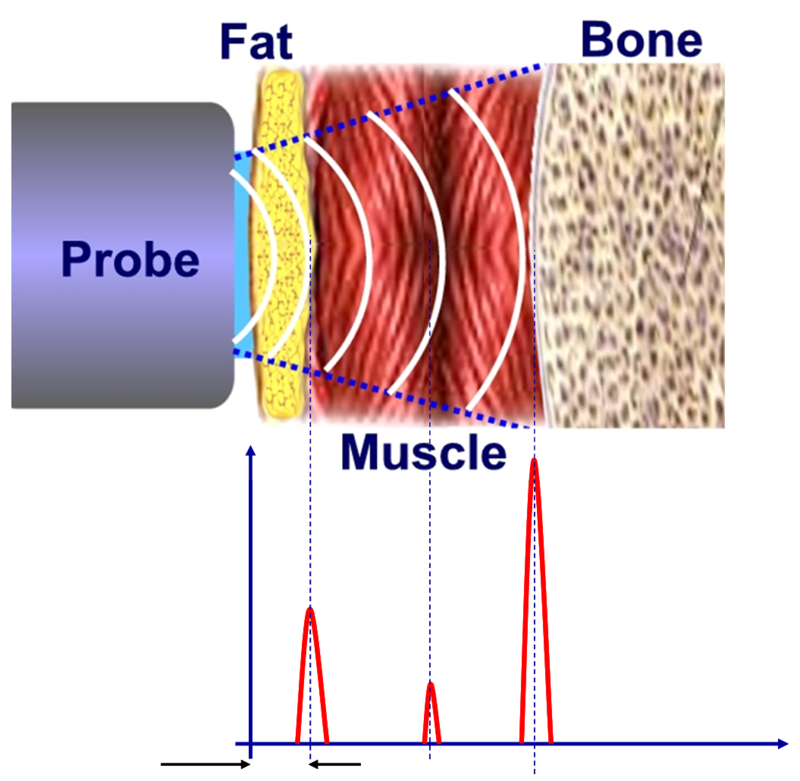 In addition to accurate body fat%, with this technology we can scan, see and track fat loss and muscle gain. Before the BodyMetrix System, the only way to accurately track fat loss and muscle gain was with large and expensive x-ray CT and MRI machines. 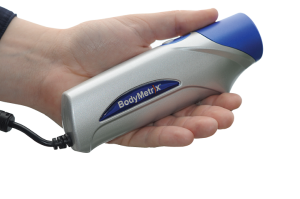 The BodyMetrix works by using ultrasound. When ultrasound waves penetrate tissue, reflections occur at different tissue boundaries. 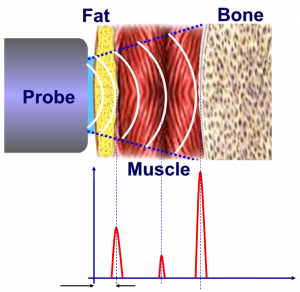 For example, there are strong ultrasound reflections at fat-muscle and muscle-bone. Ultrasound allows the BodyMetrix to detect the true fat thickness at each measurement point. By making measurements at multiple points on the body an accurate body fat percentage can be determined. The graph above shows a typical measurement. The horizontal axis corresponds to the thickness or depth of tissue and the vertical axis is the reflected signal the first peak (1) is the fat-muscle boundary. The smaller peaks (2) are different structure which can include connective tissues in the muscle layer. The third peak (3) is the muscle-bone border. It’s important to note that the BodyMetrix measures the true tissue thickness unlike calipers which measure a skin fold thickness which can be anywhere from 1 to 3 times the true fat thickness.